Kinver Beer is now available in bottles online and in store at the retail shop Nickolls and Perks, Lower High Street, Stourbridge, opposite the entrance to the Stourbridge Tesco and Stourbridge library. Nickolls & Perks wine merchants were formed in 1797, co-incidentally the same year that the locksmith and hydraulic engineer Joseph Bramah patented a handled beer engine for beer pumping, now commonly known as a handpump, a trusted sign of cask real ale. This is the period in British history when Barley Wine was invented in England, due to the impossibility to import Claret wine from Bordeaux for the aristocracy and the newly rich of the Industrial Revolution. Clearly a True Brit determination to overcome supply difficulties in times of war. Kinver Brewery are proud to be associated with Nickolls and Perks, who are rated amongst the best independent wine merchants in the UK. Renowned purveyors of the world's very best and award winning fine wines, and now award winning fine beer and ale too. 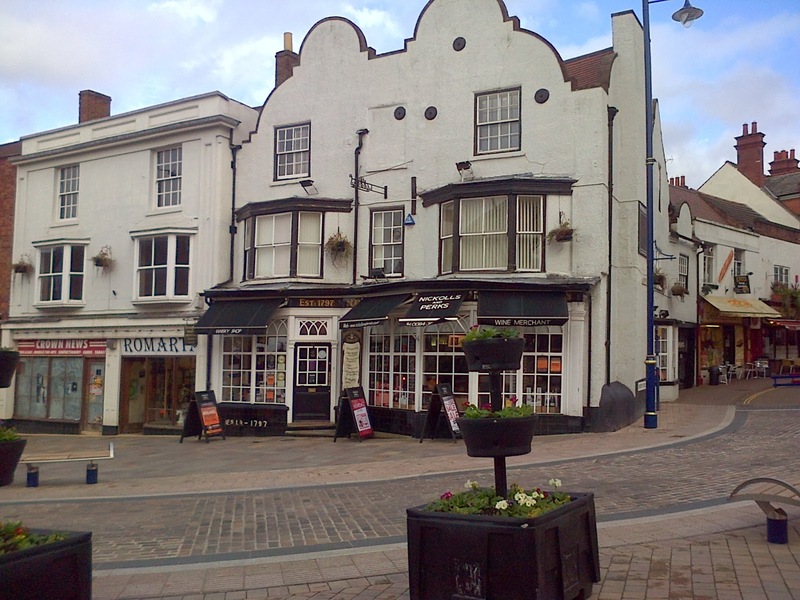 Limited free parking is available in the Lower High Street, or a small hop across from Stourbridge Town Railway Station. Kinver’s first steam engine was installed in the same year of 1797 at the Hyde Spade Mill to operate a steam hammer. It was also the year of the last military invasion of Britain that was able to land on British soil. Perhaps, the local industrialist and owner of the Hyde Spade Mill, Francis Homfray celebrated the success of the steam engine or the failure of Napoleons troops with a glass of vintage wine from the newly established local wine merchant? Horatio Nelson, however, would have struggled to raise a glass having lost his right arm at the Battle of Santa Cruz de Tenerife earlier in the year.